It is not uncommon to come across cases of people being blocked on iPhone, intentionally and also accidentally. You will find below the steps to find if Someone Has Blocked Your Phone Number on iPhone. When Someone blocks your Number on iPhone, you will not get a Message from Apple informing you that someone has blocked your Phone Number. However, there are definitely certain signs that can indicate whether or not Someone has blocked your Number on his/her iPhone. 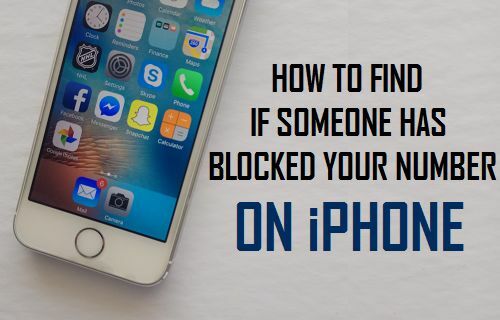 You will find below a number of methods to find if someone has blocked your Phone Number on iPhone. Make a Call to the person that you believe has blocked your Number and carefully observe what happens during the Call. 1.1. Did the Phone ring as it normally does when you Call this person or did the Phone ring just once and your call was abruptly diverted to the Voice Mail? 2.1. Now try Calling this person a few more times at different times of the day and observe whether the Calls are always being diverted to the Voice Mail. Calls being immediately diverted to the Voice Mail, especially after a Single Ring or hearing a Busy Tone and then being cut off are two known signs of your Number being blocked on iPhone. However, you need to be aware that similar signs are also noticed when a person has switched off his/her Phone or set Calls to Auto Divert to Voice Mail. Note: In case someone has blocked your Number on iPhone, that person will not be notified about your Calls, even if you leave Voice Messages. 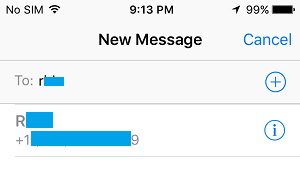 Another way to find out if someone has blocked your number on iPhone is to send an iMessage to the person that you believe has blocked your Number. 2.1. Open the Messages App on your iPhone and send a short Message to the person that you believe has blocked your Number and also request the person to provide a short reply to your message. 2.2. 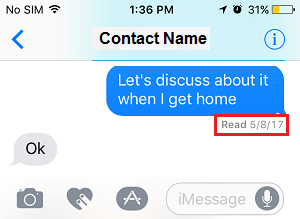 After sending the iMessage on your iPhone, take a look at the Read Receipts. Do you see “Read” on the Read receipt? 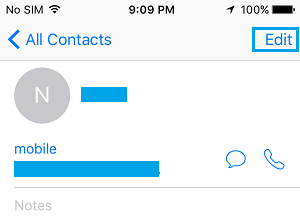 As you can guess seeing “Read” is a good sign, indicating that your Contact has not really blocked your Phone Number on iPhone. It is possible that your Contact is going through a very busy period in his/her life and is not answering Calls and Messages. In case you do not see “Read” and instead see “Delivered“, it does not indicate that your Phone Number has been blocked. This can also happen in case your Contact has not turned on Read receipts on his/her phone. Switch OFF the Caller ID on your iPhone and try Calling the person that you believe has blocked your Number. The idea behind this is to see whether your Contact picks up the Call or Not. 3.1. Open Settings > tap on the Phone option. 3.2. 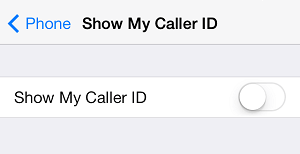 On the next screen, toggle OFF the option for Show My Caller ID. 3.3. After hiding Caller ID, Call the person that you believe has blocked your Number and observe what happens to your Call. This time the person that has blocked your Number won’t be able to see who is calling and also his/her iPhone won’t be able to block the Call (Due to Caller ID being hidden). In case this person has indeed blocked your Number, you should be able to observe one of the following. The person may pick up your Call, not knowing who is Calling. The person may ignore the Call. In this case the phone will ring as normal, until it gets diverted to the Voice Mail or you decide to end the Call. The person may cut you off as he/she is unable to see who is Calling. In all these results, it is logical to assume that this person has indeed blocked your Number on his/her iPhone. Here is another way of confirming whether or not someone has indeed blocked your Phone Number on iPhone. 2.1. Open the Contacts App on your iPhone. 2.2. 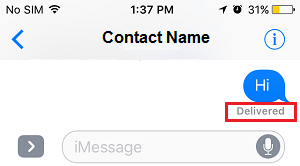 Locate the Contact that you believe has Blocked Your Number on iPhone and tap on it. 2.3. On the Contact’s screen, tap on the Edit option located at the top right of corner of your screen. 2.4. On the next screen, scroll down to the bottom and tap on Delete Contact. 2.5. 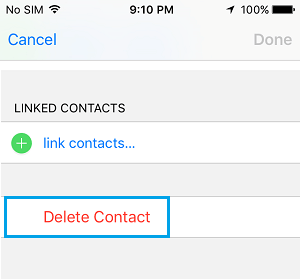 After the Contact is removed from Contacts List. Open the Messages App and try to compose a new Message to this Contact of yours. Start by typing the Name of your Contact in the “To” Field and observe whether the Name or the Phone Number of your Contact is appearing as a suggested Contact. You can assume that your Phone Number has most likely been blocked by this Contact, in case the Contact Name or the Phone Number does not appear as a suggested Contact. 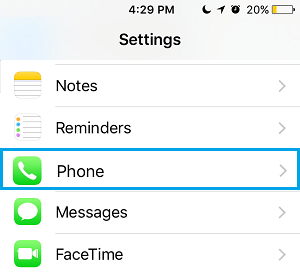 Another possibility is that the Contact that you are trying to Call may have placed his/her iPhone on Do Not Disturb Mode, with the intention of blocking Calls on iPhone for a temporary period of time. Also, it is not uncommon for people to forget to Disable the Do Not Disturb Mode on their iPhone, long after they are done using it. Your Number has most likely been blocked, in case you are unable to reach the person either by making a Phone Call or by sending a Text Message and you also notice the following signs. Your Calls are getting diverted to the Voice Mail immediately or after 1 ring. You hear a busy Tone and your Call gets cut OFF (happens with some carriers). You do not get any response to your Text Messages and do not see “Read at” on the Read Receipts.